My Wonderful Husband! | Keeps Me Out Of Mischief! My husband and I aren’t very good at buying each other presents. Not because we don’t care but because we spoil the children in our lives rotten and this year, having just moved house, I really wasn’t expecting anything at all. Cut to Christmas morning and we’re at my parents’ house watching the kids open their many, many presents as my nephew got more and more excitable and loving every minute of it! My eldest nephew had been acting as postman, handing out the presents from under the tree – well those that weren’t breakable anyway! There was one massive box and a smaller parcel left under the tree which was too big for him to lift so I was summoned over to the box. I was completely surprised by this; I’d had a few lovely things from my family and didn’t think there would be anything from anyone else. The tag on the box said that it was from Baby B; now I may think he’s a child genius but I think shopping may be slightly beyond him at the moment! I think his Daddy may have given him a helping hand! I ripped off the wrapping paper and found a cardboard box inside – I joked that my husband had wrapped up one of our many boxes left to unpack at home in the hope that I’d get another one done! But no, my husband had been listening to my many, many hints over the course of the year and had bought me my very own overlocker! The whole family had been in on it – everyone had contributed towards it and all their names were on the other package which contained a case for the ovelocker to keen it away from curious little fingers! 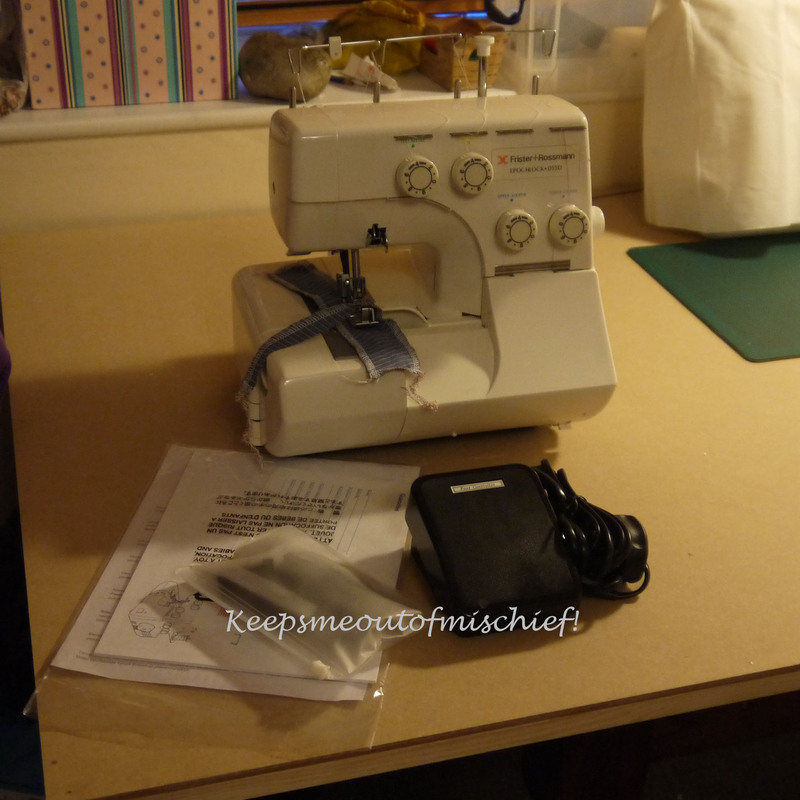 I now need to find a precious few quiet hours to learn how to thread the thing and to have a play before I embark on a project – how exciting!